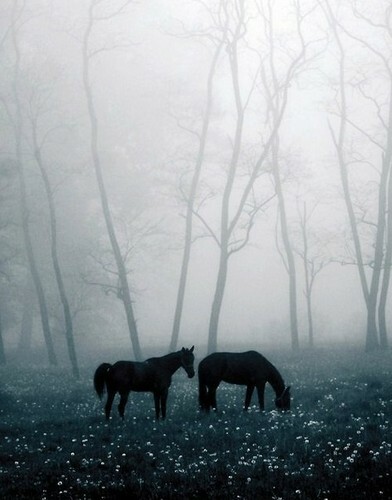 ঘোড়া বিষয়ক. . Wallpaper and background images in the মনোরম ছবি club tagged: photo horses fog forest beautiful.